– With this the go-home show before Survivor Series, we expected to see “strange bedfellows” as the prominent theme, but could only imagine how much of the show it’d consume. 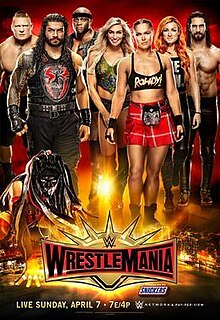 Anyways, the opening segment with General Manager Mick Foley, Commissioner Stephanie McMahon, Seth Rollins, WWE United States Champion Roman Reigns, Braun Strowman, Chris Jericho, WWE Universal Champion Kevin Owens, WWE Raw Tag Team Champions The New Day, Luke Gallows, Karl Anderson, The Shining Stars, Cesaro, Sheamus, Enzo Amore, Big Cass, Sasha Banks, WWE Raw Women’s Champion Charlotte, Bayley, Nia Jax and Alicia Fox was packed, but set the show off right. Steph hyped the appearance of SmackDown Live General Manager Daniel Bryan and SmackDown Live Commissioner Shane McMahon for later in a “Survivor Series Summit” and addressed how she wanted everyone to work well together or there’d be changes. Foley booked Cesaro/Sheamus against Owens/Reigns. Steph booked Rollins/Strowman/Jericho against ND. Foley booked Banks/Charlotte against Jax/Fox. At least we had stuff to look forward to, but damn.